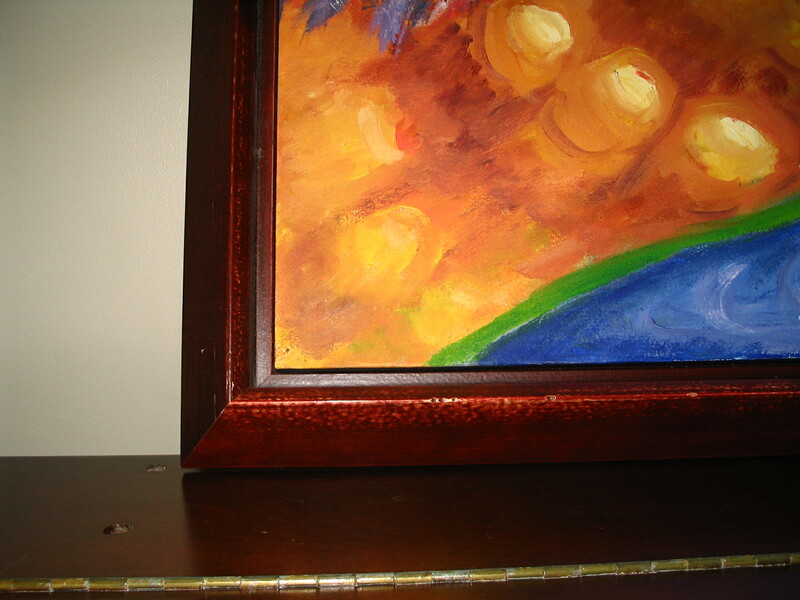 Framing art on canvas can be as easy as just adding wire to the back of the stretcher bar and hanging it on the wall. 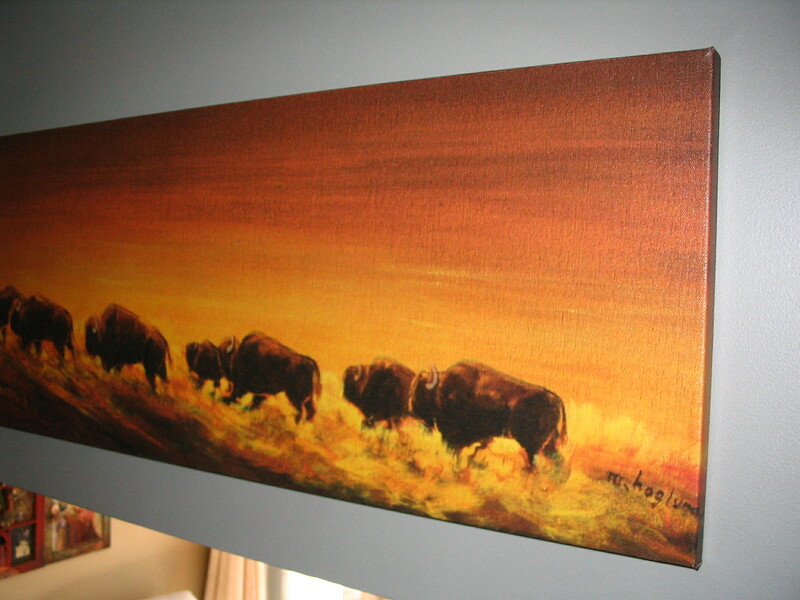 “Prairie Bison”, giclee, 12X36, $399.00 by Myrna Haglund. A more traditional way of framing a canvas is to put a linen liner around the canvas then cap it with a decorative frame. 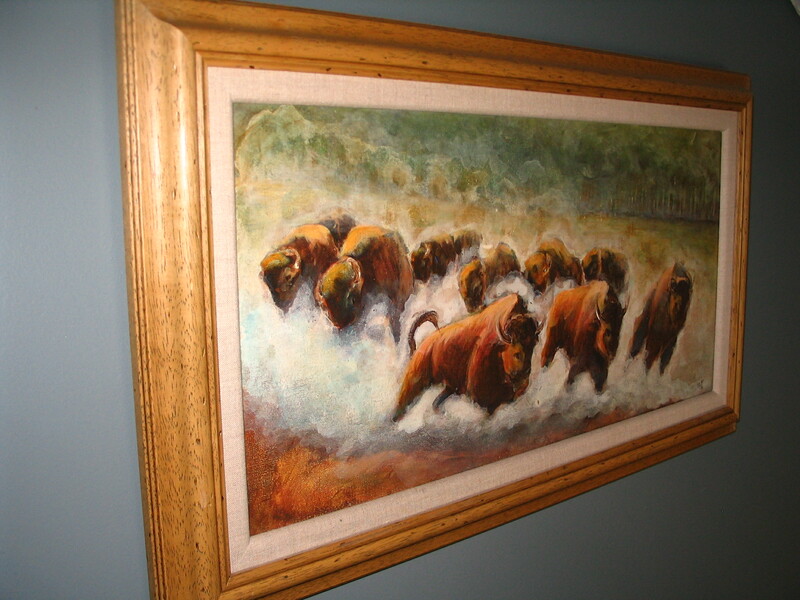 “Running Buffalo”original acrylic, 12X324 by Myrna Haglund. Then there is the float frame. The frame profile is in an “L” shape, the canvas rests on the base of the frame or the “L” and the canvas is screwed into the frame from the back. 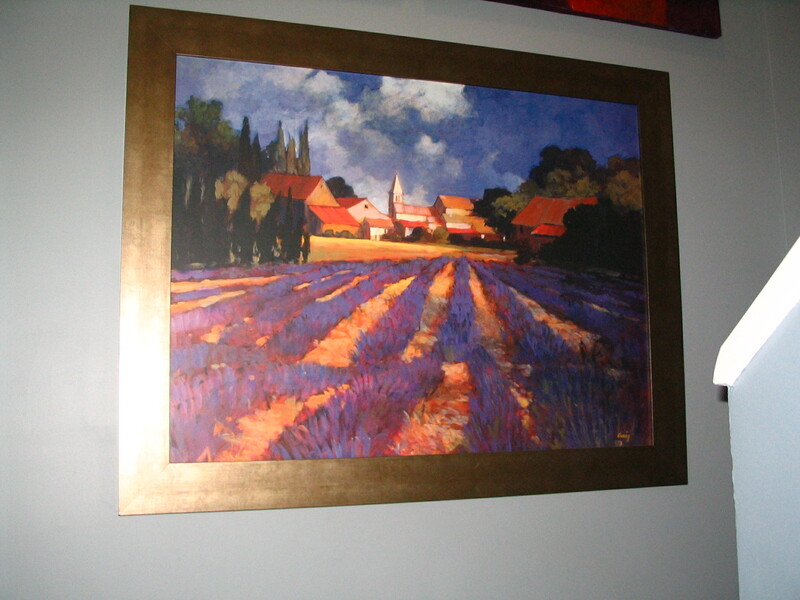 Float frames come in various depths, which means that a 2″deep gallery canvas would fit this profile style. 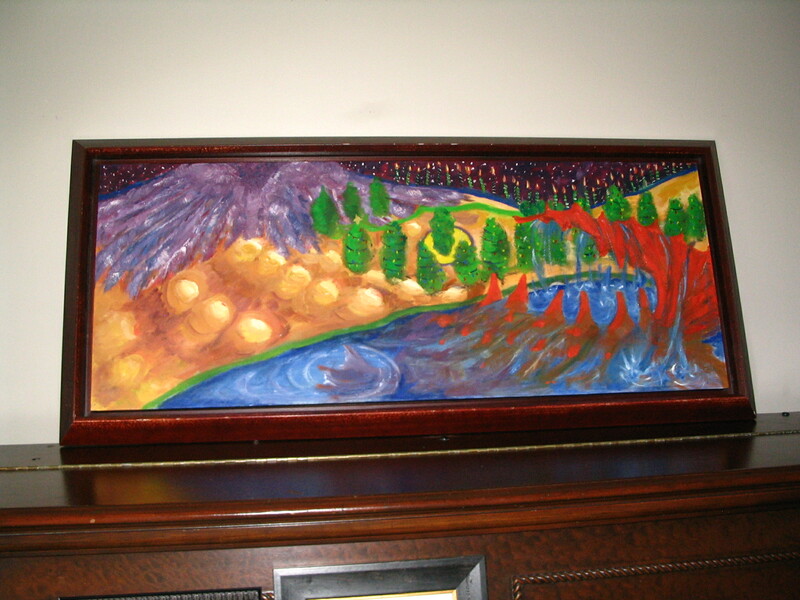 “Every day is a Celebration” landscape of Gurple the purple dragon. Oil on canvas, by Susan Fae. Another way of framing a canvas is to put a large profile frame with a simple design directly onto the canvas. Large flat profiles look great on large canvas’. When framing a canvas, remember that the subject matter and the era (modern or historical) of the art will help direct you to a contemporary or traditional frame. Custom picture framing is all about you, choose a frame that you like and suits your life style. This entry was posted in Picture Framing Design and tagged canvas frame, canvas frames, custom pictue framing, float frame, frame profiles, wood frames. Bookmark the permalink.